I spotted these over on the always inspiring Brain Pickings. They looked utterly stunning, so had to see if I could get hold of them. Thankfully Amazon has them and considering the UV spot gloss, special papers and laser cutting they are a bargain! 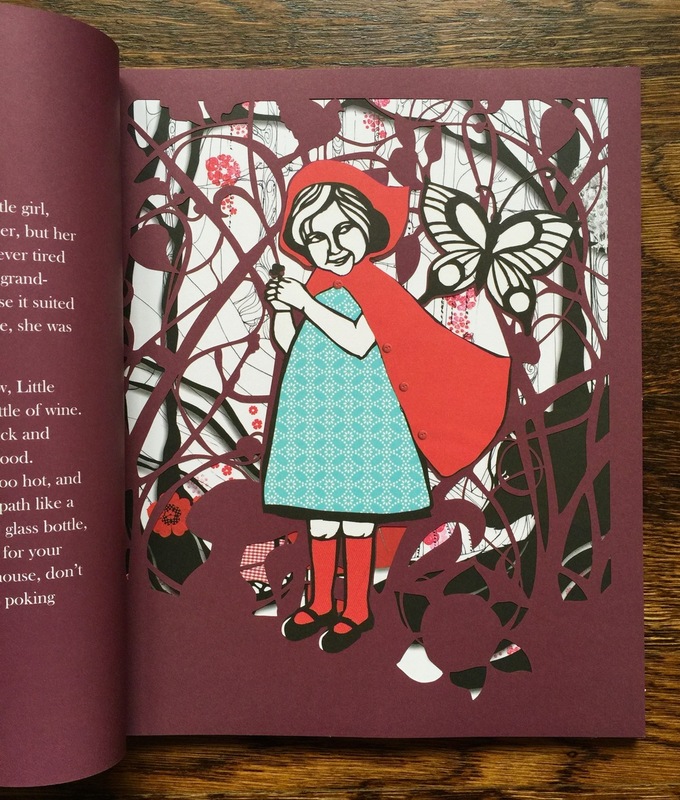 First up is Little Red Riding Hood. 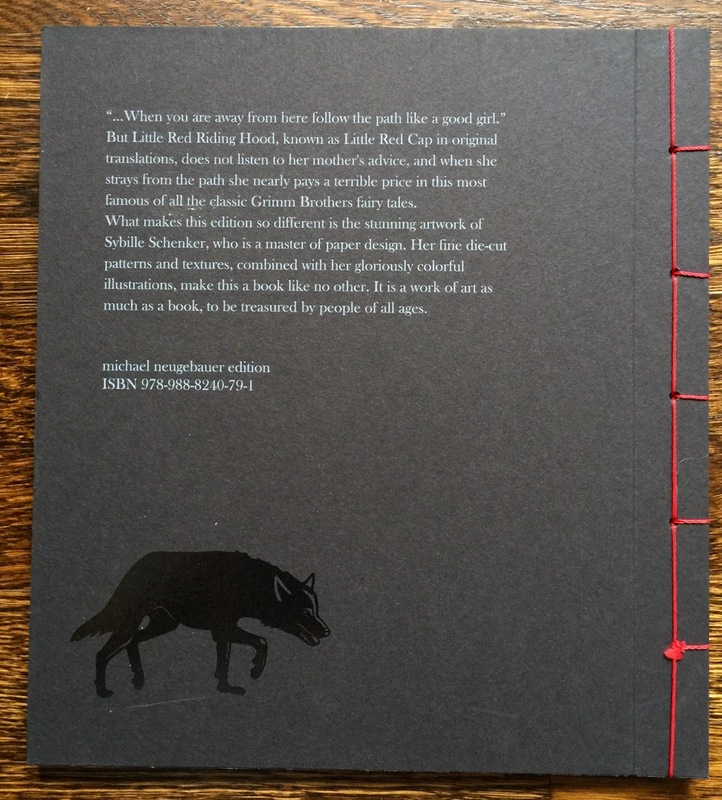 It's a beautifully crafted edition published by Michael Neugebauer, driven by the fantastic cut paper illustrations of Sybille Schenker. But it's more than the delicate laser cut pages, it's the overall attention to detail and quality that makes this a wonderful object. 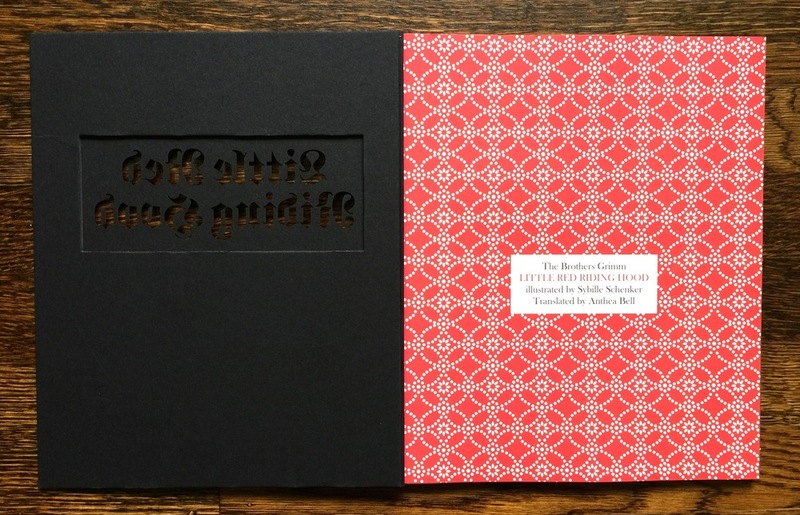 From the matte black, board covers with their laser cut titles and spot gloss motifs, to the colour themed binding, it's beautiful. 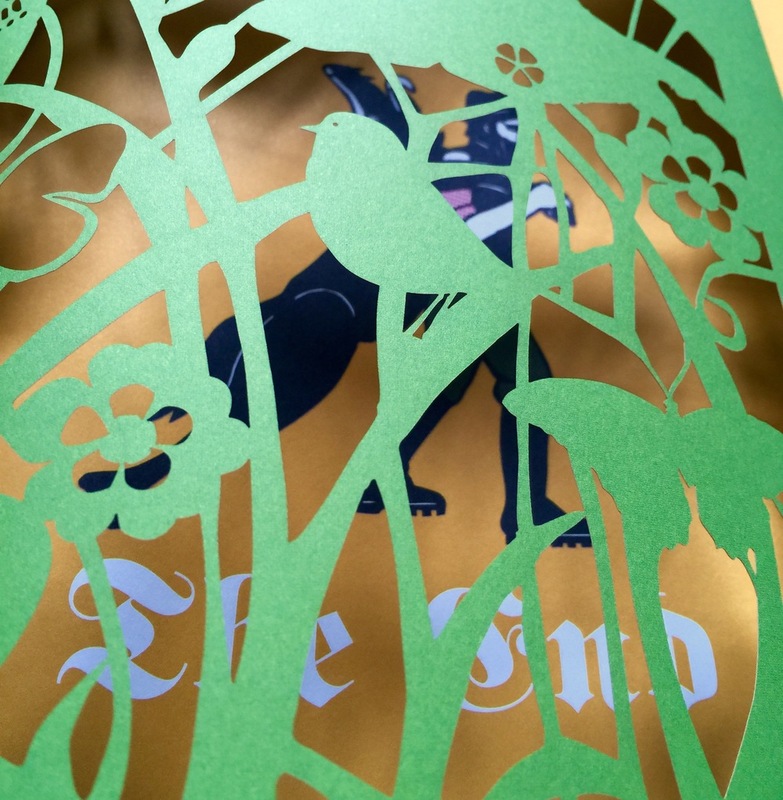 The use of the laser cutting to show off Sybille's illustration is done superbly, adding pace and intrigue to the reading. The graphic design is also particularly good. The sumptuous use of colour and typography work perfectly to enhance the theatre of the reading. Next up is Hansel and Gretel. I must admit I was slightly disappointed when I opened this as it lacks the laser cut paperwork, making do with the odd die cut window. 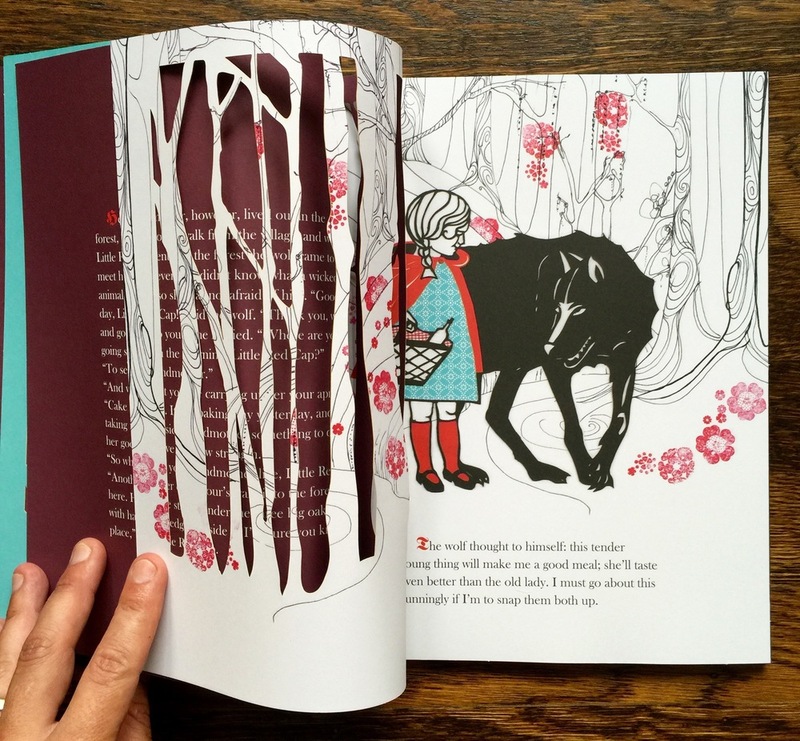 Instead it uses transparent trace paper to achieve a similar effect and show off the paper cut illustrations. It's still very effective and works wonderfully to reveal the story, especially as the children walk through the wood to the witches house. In some ways it works better as it's not just hide and show. The layering adds a subtlety to the depth and allows for a different use of the 'shadowy' imagery. 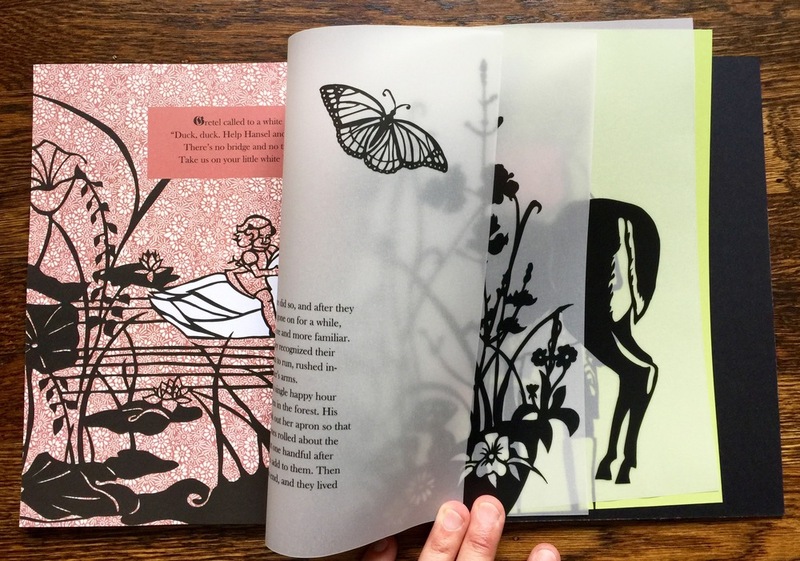 The two books are wonderful examples of what print can be, embracing all the theatre that makes for a great fairy tale. 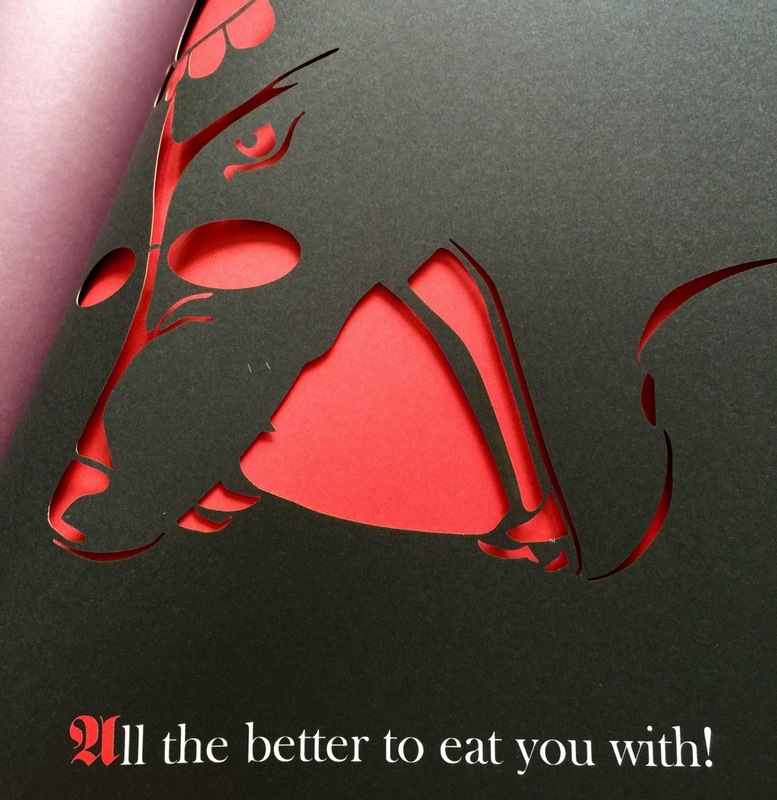 They arrived safely packaged in hard transparent slips to protect the board covers and Little Red Riding Hood had tissue paper inserts between the laser cut pages. Yet another example of how much this publisher cares about the objects they release into the world - wonderful craft. 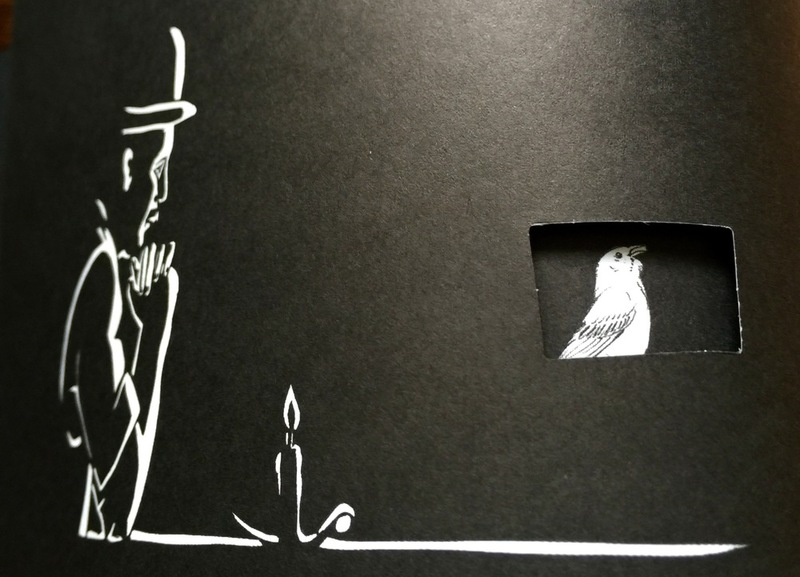 Check out more work from Sybille Schenker over on her portfolio site. 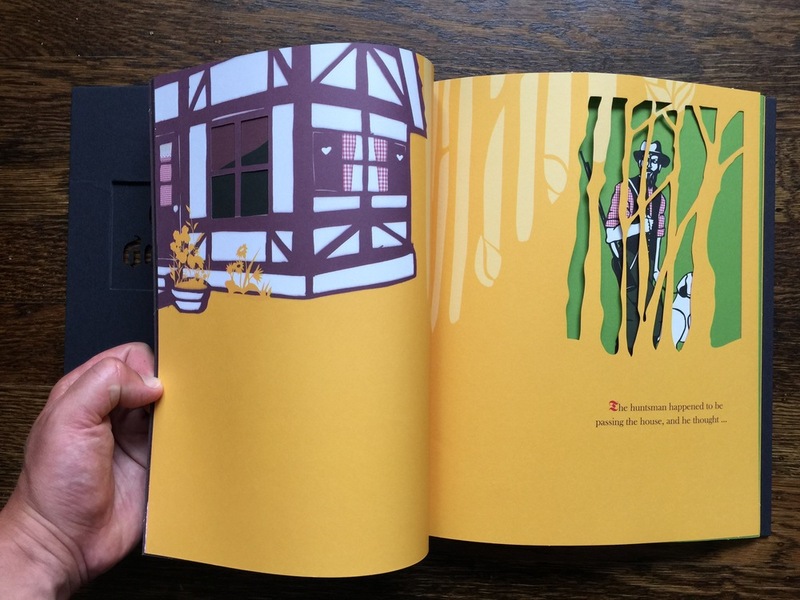 More from the publisher Michael Neugebauer over at Minedition.